Another concrete example of the richness of Turkish cuisine is, without a doubt, dried fruits and nuts. 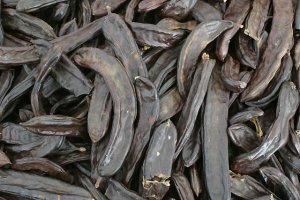 [Translator’s note: In Turkish, dried fruits, nuts and other dry foods such as squash and sunflower seeds fall into their own category, kuruyemiş (lit. “dried fruits”).] Food is clearly a part of material culture, but material culture can also be examined from a social perspective. In our culture, dried fruits and nuts have taken on a social significance as well. Dried fruits and nuts occupy a special place in our culinary culture and have created their own special traditions, thus taking on folkloric qualities as well. 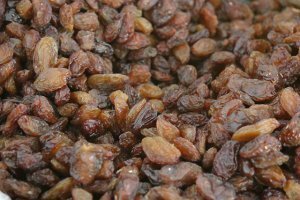 In this article, we will not deal with the physical process of drying fruits and nuts, something which is more the concern of the agricultural school. Here, we will address the socio-cultural aspects of this group of foods. No scientific studies or research has been done on this subject, and it has not entered the literature. The information in this article is based on my own observation and experiences. In our culture, kuruyemiş is a genre of food that is especially associated with happy times, served in entertainment situations. As there are different categories of happy occasions, there are differences in the times and places these foods are consumed. Below we will look at some of these different kuruyemiş, along with the places and occasions they are consumed. a. 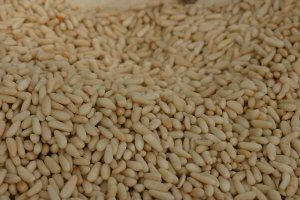 Squash and sunflower seeds (çekirdek): These have become practically indispensable when going to the park to relax; so much so that parks are identified with çekirdek, as if it’s impossible to sit in the park without them. For this reason the entrances to parks are full of sellers of squash and sunflower seeds. It’s a food used to pass the time, and as we sit carelessly filling the cleanest areas with their hulls, we take for granted that there is someone whose job it is to come sweep them up. It is so habitual that our people are shocked to see these snacks forbidden in several open-air venues. b. Open-air and regular cinemas are places where sunflower and squash seeds are most consumed. Especially in outdoor cinemas the sound of cracking shells can actually be so annoying as to keep one from following the film. They are also eaten in the seaside tea gardens. The itinerant nut sellers in tourist towns also encourage this; consumption of sunflower and squash seeds suddenly jumps during the summer months. c. Dry fruits and nuts also add color to our village festivals. In the old days, when candy was not so common, people in villages, small towns and cities as well gave children handfuls of dry nuts and fruits. d. Children at weddings and young women at henna nights accompany their celebration with dried fruits and nuts. e. Dried fruits and/or nuts are always a part of the meze served along with alcoholic drinks, and at cocktail parties, or whenever alcohol is served. 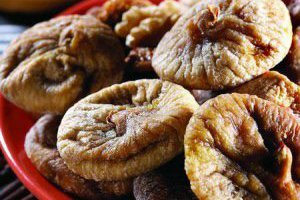 f. In the villages, dry fruit and nuts help people pass the long winter nights. They are served to guests. In the old days, when tea and coffee was not readily available, it was very common to serve guests plates of dry fruit and nuts. They are part of traditional hospitality. g. When children went to school, mothers filled their pockets or bags with whatever dried fruit or nuts were available. Now these are given to the students at mealtimes, provided free by the state. 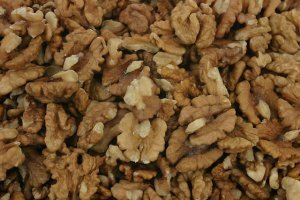 Especially nutritious ones such as raisins and hazelnuts are distributed. 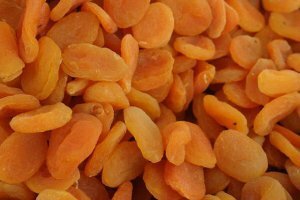 h. Dried fruits and nuts are used in a variety of foods and especially in sweets, such as pistachio and walnut baklava, raisin cakes, marzipan, pistachio marzipan, Jordan almonds and aşure. i. They can also be used as toys, as in the example of children playing with walnuts on the street. 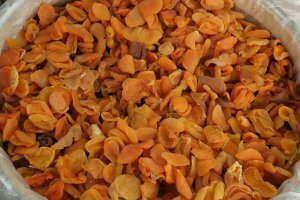 With these various characteristics, dried fruits and nuts, as a much-consumed foodstuff, play an important role in our economy. Shops dealing exclusively in nuts and dried fruits are common throughout Anatolia, and it is the most common food sold at neighborhood groceries. For this reason it has an important place in economic life. In recent years, with the help of new developments in packaging, nuts and dried fruits are offered now for general consumption, in small packets as gifts and in attractive boxes for clean and long-lasting storage and consumption. j. Dried fruits and nuts are also eaten in Anatolia on other occasions (besides serving to guests). It is especially popular at parties or other festive gatherings. 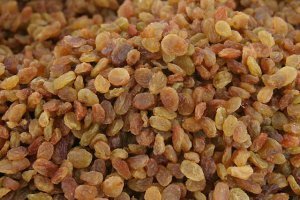 Many different regions, provinces or towns are quite famous for one or another type of dried fruit or nut. 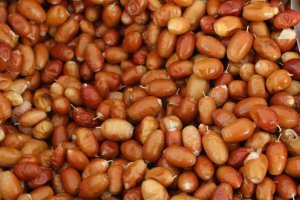 Some examples are the roasted chickpeas (leblebi) of Çorum, Sandıklı and Mardin Dağlı, the pistachios of Gaziantep, apricots of Malatya, and the hazelnuts of the Black Sea. In these areas, dried fruits or nuts have become an area of local expertise. 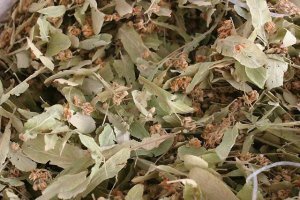 For example in Çorum, one can find leblebi flavored with salt, mastic, pepper, clove and sugar; there are split leblebi (because the center is toasted dark, the local people call it sürmeli leblebi – that is, with kohl). 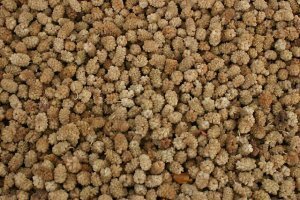 In the same way, hazelnuts in the Black Sea and pistachios in Gaziantep have come to be used in many different ways, to practically become staple foods there. k. They are used for various other purposes as well. 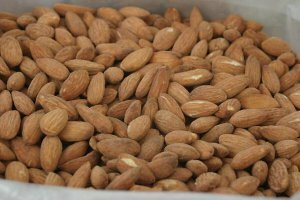 For example, those who are trying to quite smoking eat lots of nuts, in order substitute something else for the cigarettes. They use it to try and forget their craving for cigarettes. l. Now for health reasons, we see the production of unsalted squash seeds. They are much consumed at hot springs/spas, in order to do away with stretch marks on the body etc., especially the seeds of winter squash. 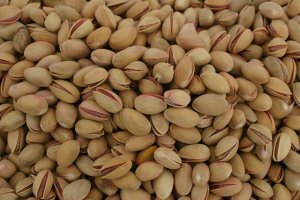 The fruits and nuts preserved by drying are: hazelnuts, peanuts, pistachios, pine nuts, chickpeas (roasted as leblebi), grapes, plums, sunflower seeds, squash seeds, watermelon seeds, melon seeds, apricots, apricot kernels, almonds, mulberries, Russian olives, carob, dates, figs, walnuts and corn. 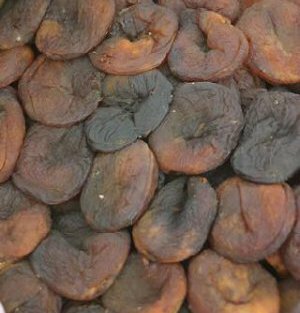 m. In addition to these, some fruits are dried for the purpose of stewing in the winter, such as plums, apricots, wild apricots, sour cherries, apples, and even pears in some places. At the same time these may be eaten dry. 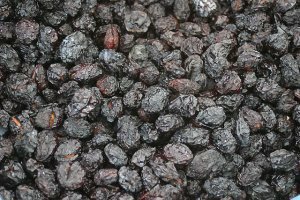 n. Dried fruits and nuts are also popular foods for long trips. Such foods are the most-sold items at the rest stops along intercity bus routes.